Ages 5 – 12. Saturdays for eight weeks. 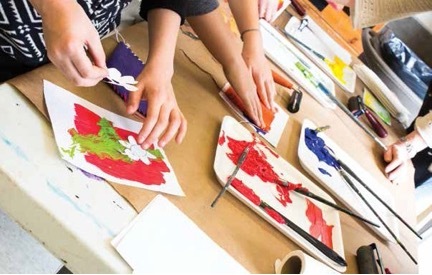 These popular art classes offer a creative exploration of various art mediums, encourage skill development while cultivating art appreciation, and introduce children to Canadian art through in-gallery activities. Facilitated by professional art instructors, children will be divided into age-appropriate groups to be determined upon registration. Registration required – once courses have begun, registration is closed. Please note: A parent package will be emailed to all registrants prior to the start of classes with medical and parental consent forms which need to be returned no later than 1-week in advance of the first day.